Created by Newcastle-based dance theatre group Company of Others, Crackle. Dust. 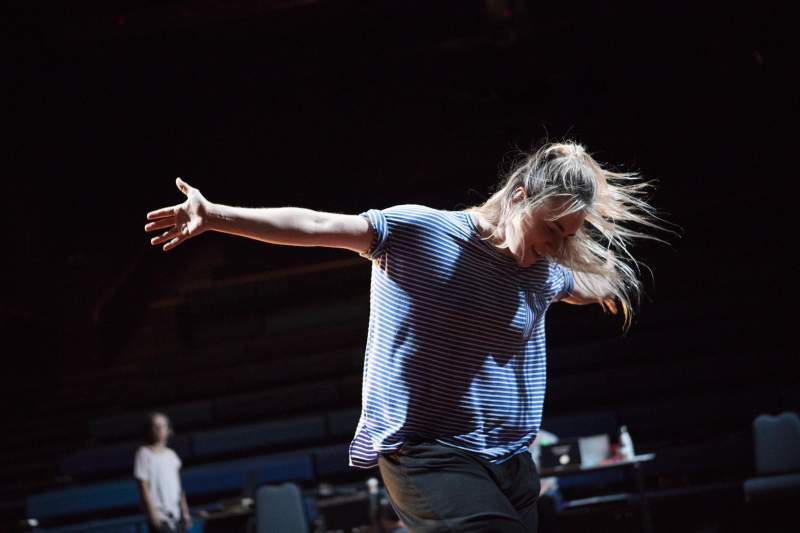 is a new show celebrating the courage, strength and resilience of women in the North, combining movement, live sound and spoken word to tell us a story about endings. Nadia Iftkhar is the show’s choreographer and Artistic Director of Company of Others, she observes: “There are so many ‘stories’ walking amongst us every day but we just don’t have the time and capacity to connect with each one.” This show gives these stories space to be heard. Six dancers and a musician perform Crackle. Dust., a work collated from the life-changing experiences of endings of over 250 women from across the North: endings that include the end of a journey, a career, a love affair; the end of childhood or fertility; the end of an era, friendship or a struggle. These courageous women came together to share their tales via sound recordings, pictures, videos, blogs and emails for this collaborative piece commissioned by Dance City. One woman spoke of ‘crackledust’, the name her father gave to lamplit snow – a beautiful, fitting name for this collection of stories. The production visits Queen’s Hall Arts Centre, Hexham on Tuesday 23rd April, Dance City in Newcastle on Saturday 27th April, ARC in Stockton on Wednesday 1st May and Byker Community Centre on Saturday 4th May. Research & Development of Crackle. Dust. (Subtitled) from Company of Others on Vimeo.